A surprise unveil from Netflix brings us a new anime series heading exclusively to the service on September 22nd. 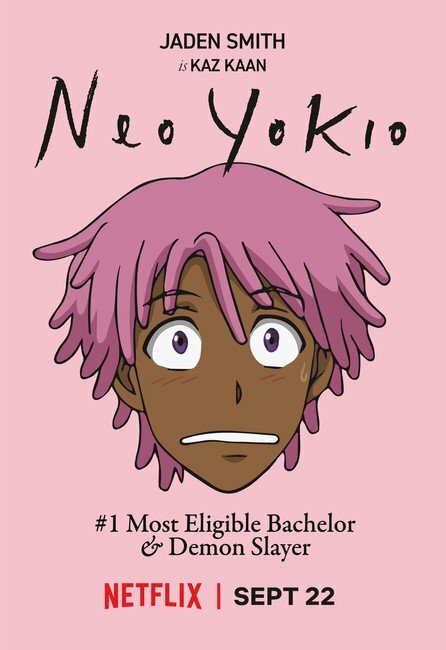 Called Neo Yokio, it’s a 6-episode series with an all-star English cast created by Vampire Weekend musician Ezra Koenig. This series is handled similarly to Cannon Busters, where we have a mix of Western and Japanese staff involved with the production. Nick Weidenfeld will be serving as the writer and executive producer while Kazuhiro Furuhashi (Mobile Suit Gundam Unicorn) and Junji Nishimura (Ranma ½) will be serving as the storyboard artists. Japanese studios Production I.G and Studio DEEN will both be part of the animation production alongside South Korean studio MOI. The English all-star cast introduces Jaden Smith as the main character Kaz Kaan, and a number of other people also providing voice-work throughout the series including Kiernan Shipka (When Marnie Was There), Steve Buscemi (Final Fantasy: The Spirits Within), Susan Sarandon (live-action Speed Racer), Jude Law, Richard Ayoade, Stephen Fry, Tavi Gevinson, Jason Schwartzman, Desus & Mero, Ike Barinholtz, Alexa Chung, Katy Mixon, Annet Mahendru, Willow Smith, and Amanda Stenberg. You can visit the Netflix page here.